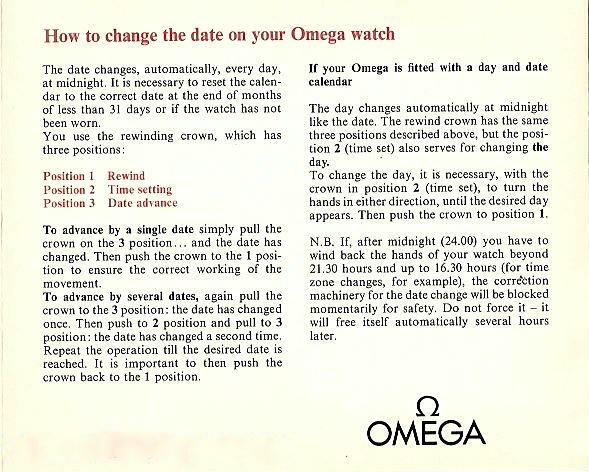 Omega Constellation de Luxe models are much sought-after by collectors. (See here for a comprehensive review of all models). A cut above ordinary 18 karat solid gold versions, they were aimed at the luxury watch-buying segment and were priced accordingly. The Constellation de Luxe featured a solid 18 karat gold case and 18k karat solid gold dial. 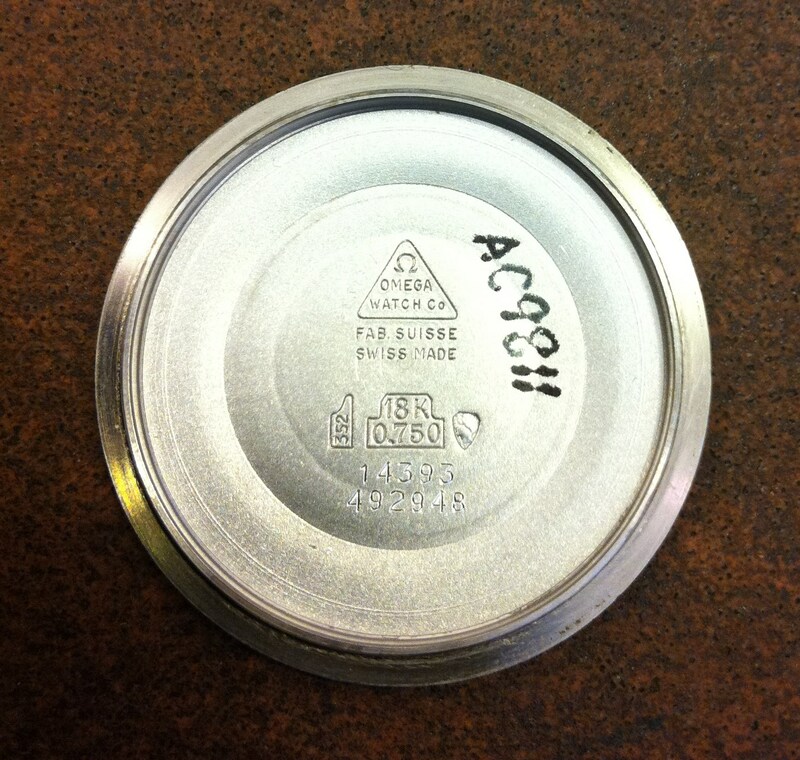 Some examples were housed in solid silver boxes. Beautifully wrought bracelets were on offer to accessorise the watch, mostly at point-of-sale, but occasionally fitted at the factory. While not rare, Constellation de Luxe models were assembled in small runs when compared with overall production numbers of standard models. The least common of all de Luxe models were those encased in 18 karat white gold, which, these days, command a premium of between fifty and a hundred percent (and often more) over their yellow gold compatriots. White gold in the nineteen-sixties was a ‘niche’ metal, the majority of people preferring to follow the vogue for yellow gold, and this special order de Luxe 14393 18k white gold version shown below is only the second example I have encountered in many years of collecting. It is a very special piece indeed, having been ordered for the original owner by Lambert Sundberg, an Omega dealer in Stockholm who was a friend of the family. The watch sports an 18 karat white gold dial, a matching woven link 18 karat bracelet and a beautifully machined solid silver presentation box. The provenance of the ensemble is indisputable. 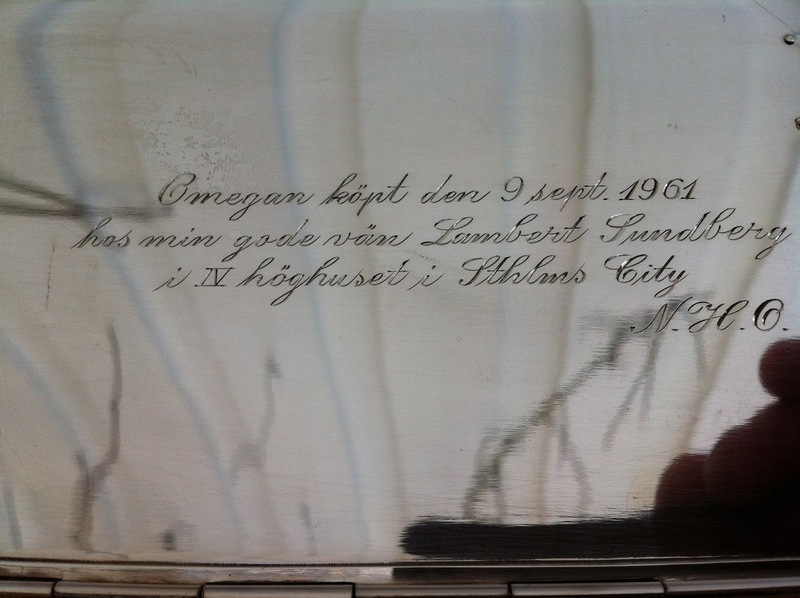 The engraving on the side corroborates the date of sale and the details of the transaction, and translated reads, “Omega bought on 9th September, 1961, from my friend Lambert Sundberg in IV Tower Block (Skyscraper) in Stokholm City” and contains the initials of the original owner “N.H.O”, the late father of the present owner, Ulf. 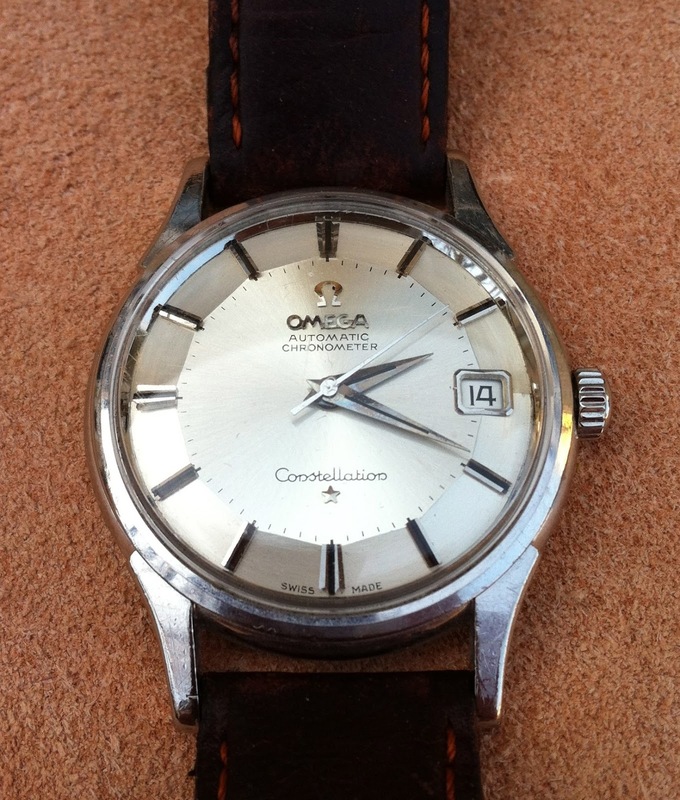 The special order status of the watch is revealed by the second number stamped below the model number 14393, and to own such a unique piece is every collectors dream. Fortunately, it is much cherished and will remain part of the family legacy. That watch is truly amazing Desmond - I'd just love to know what the equivalent watch would cost today - not necessarily in monetary terms but in how long the average guy would have had to work to purchase it in 1960. That would show how big a commitment it was. Still, I suppose it was never for the 'average guy' was it? Totally agree - it's exquisite. I reckon it would probably cost as much as a Grand Luxe of the time, around 3200 CHF, maybe more in Sweden. Thats many months of labour for an average wage earner of the time. Certainly beyond the reach of most in the somewhat depressed early sixties eh? I just realized that I have that exact watch but in yellow gold. Bought in Stockholm in the sixties and I have inherrited it from an old relative. It's even with exactly the same bracelet. There are some beautiful examples around of Constellation "Montre Bijoux" pieces. Any clue of the current value a 18k white gold Connie with the sterling box? Values range from 5 - 9 thousand depending on condition.